Tata Sons, the investment holding company of the $103-billion conglomerate, reportedly saw its net profit dive down 76% in the last fiscal, as per filings with the Registrar of Companies. Tata Sons, the investment holding company of the $103-billion conglomerate, reportedly saw its net profit dive down 76% in the last fiscal, as per filings with the Registrar of Companies. In fact, it wrote off a whopping Rs 28,651 crore courtesy its troubled telecom business. The company's profit after tax declined to Rs 4,379 crore, from Rs 18,432 crore, after exceptional items worth Rs 21,216.2 crore, compared with Rs 7,352.7 crore a year ago, The Economic Times reported. Last October, the Tatas had announced that Tata Teleservices would merge with Bharti Airtel on a no-debt, no-cash basis. Citing sources the daily added that write-offs on the balance sheet for its bleeding telecom arm are expected to be completed by March 2019. The Tata Group has been in serious consolidation mode - focussing on scale, synergies and making itself leaner - in the past year under N. Chandrasekaran, who took over the reins in January 2017, after Cyrus Mistry's ouster. All group operating companies are already cutting down on small, unscaleable businesses and subsidiaries. According to fund managers tracking the group, the pressure will now mount on him to start posting profits. "Our concern is the group's overdependence on TCS for profitability. Tata Sons has to focus on creating another company that will match TCS in growth and revenue," the CEO of a leading domestic investment fund told the daily. And Tata Sons has read the writing on the wall. According to a source, the company's focus next fiscal onwards will be on growth, and cash flows will stay ahead of capital expenditure. "Other capital infusions to scale up businesses will also be done this year," the official added. In July, Tata Sons had approved a Rs 10,161-crore investment plan focussing on the conglomerate's finance, insurance, defence, realty and retail units - all areas that its chairman is aggressively betting on. In its latest regulatory filings the company claimed a 14% jump in total revenue to Rs 1,96,903 crore for FY18. 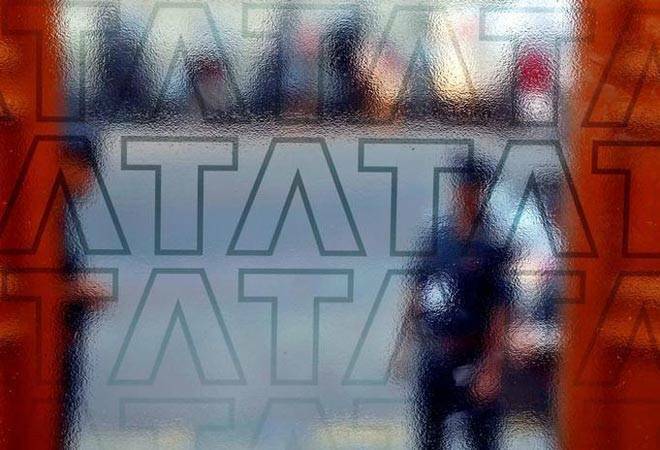 It added that the Group had taken initiatives during the previous year to consolidate its stake in Tata companies, to simplify cross-holdings and help provide cash for entities wanting to cut debt and make investments. In March it had sold TCS shares valued at Rs 8,929 crore, translating to around 1.63% stake. Although Tata Sons is the parent of more than 100 group companies, all of which pay dividends to it, the bulk of it comes from TCS. The cash-rich firm generated consolidated revenue of $19 billion in the year ended March. Citing top officials in the know the daily added that since Chandrasekaran took over the reins, he has been urging the group's chief executives to focus on core businesses and tap the huge opportunities within India, which he is bullish about. This marks a major shift in the group's business strategy from its previous focus on the global markets, yielding about 60% of the conglomerate's revenues. "There are quite a few fledgling companies that will contribute in a few years. Insurance, steel, hotels and retail clusters will take off significantly to contribute to group profits. The chairman is taking strategic decisions with an eye on the future," said a source.